Artists, filmmakers and communities are bringing little-known events in Canadian history to a national audience. You may never have heard of Saskatchewan’s “White Women’s Labour Law,” or the kidnapping of Stó:lō boys during the Fraser River Gold Rush. Nor might you be familiar with Ottawa’s Southway Inn where the Nunavut flag once flew, or Sheldrake Island in New Brunswick where nearly 30 people afflicted with leprosy were quarantined in the mid-1800s. These four “lost” stories, previously known only by small groups of people, are now being widely shared through the Lost Stories Project, a public art and documentary film initiative at Concordia University. They were chosen from about 200 submissions from the public, says project lead Ronald Rudin, a history professor and co-director of Concordia’s Centre for Oral History and Digital Storytelling. Artist Terry Horne at work on a commemorative carving on the bank of B.C.’s Fraser River for the Lost Stories Project. Photo by Sandra Bonner-Pederson. The project first took off with a pilot in 2013, when Dr. Rudin secured funding as a fellow of the Pierre Elliott Trudeau Foundation. The pilot focused on the story of Thomas Widd, a deaf man who founded Montreal’s Mackay School for the Deaf. The story was pitched by Janet McConnell, a retired teacher at the school. Four new stories were able to come to light through a grant from the Canada 150 Fund. As part of the project, documentary filmmakers are paired with artists across Canada to capture the process of transforming oral histories into physical objects. The site-specific artworks will be inaugurated by this fall and the films are set to be released before the end of the year. “We wanted from the very beginning to have artists and filmmakers who actually had a connection with the communities,” Dr. Rudin says, adding that the support and enthusiasm of locals has been vital. 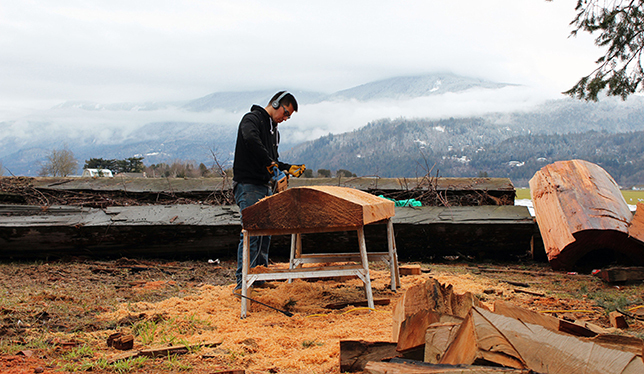 In the case of the Stó:lō boys story from British Columbia, the project “is being managed almost entirely by the [Chawathil] First Nation.” It will feature a memorial on the bank of the Fraser River near Hope, B.C., carved by Coast Salish artist Terry Horne. 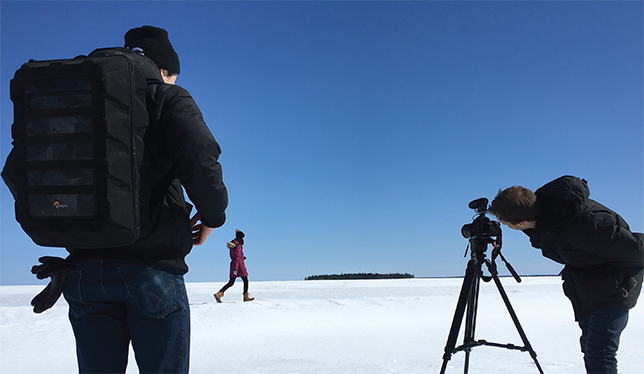 Filmmaker Julien Cadieux (right) and artist Marika Drolet-Ferguson (background) document the area near Sheldrake Island, New Brunswick, as part of their artwork for the Lost Stories Project. Photo by Mathieu Boucher.